Discussion in 'Transformers Feedback & Reviews' started by megatroptimus, Aug 9, 2010. 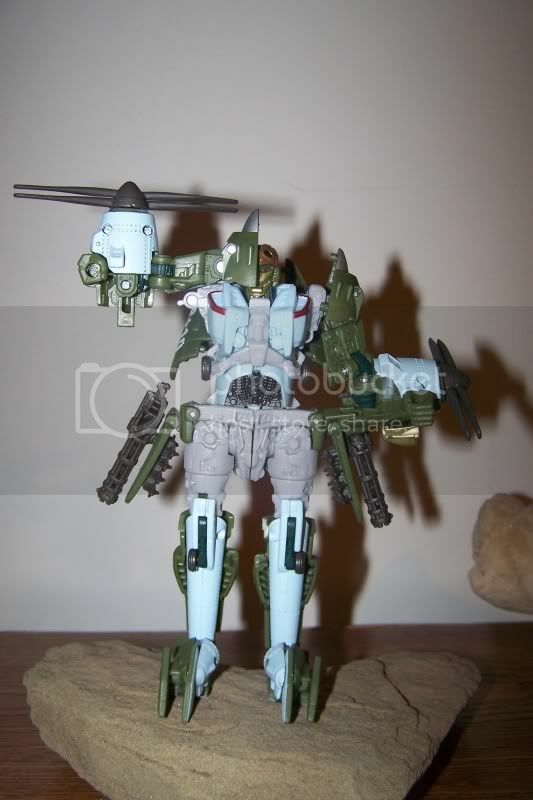 Somehow, it looks like a movie-ish version of Energon Springer with the weapons and guns hanging from the hip flaps. 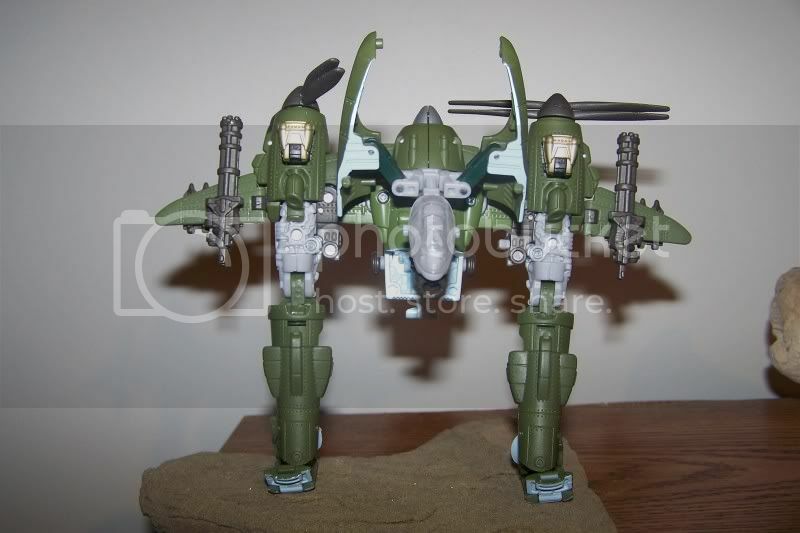 Highbrow has relatively long legs, wide hips, a short torso and strangely angled forearms that might take some time to get used to but that are ultimately more satisfying than the ones on Movie 1 Voyager Incinerator. 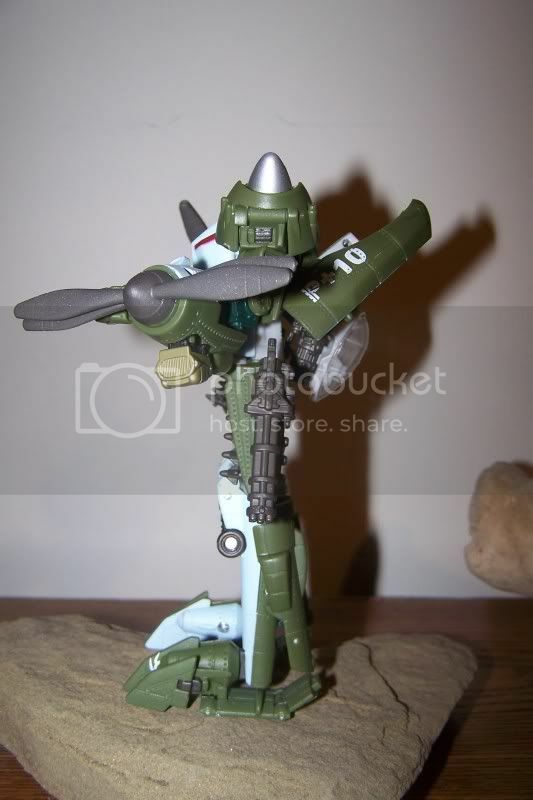 The propeller gimmick still works in this mode. The gattling guns can be either left on the hip panels or detached and placed in the fists. 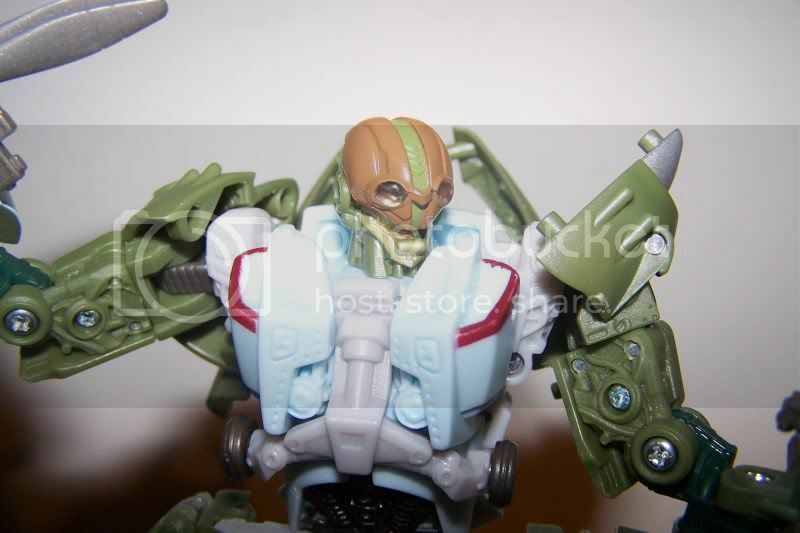 The head features a flip-down mask that makes Highbrow look like he's wearing a leather helmet with goggles. Pretty unique, I think it's my favorite feature. 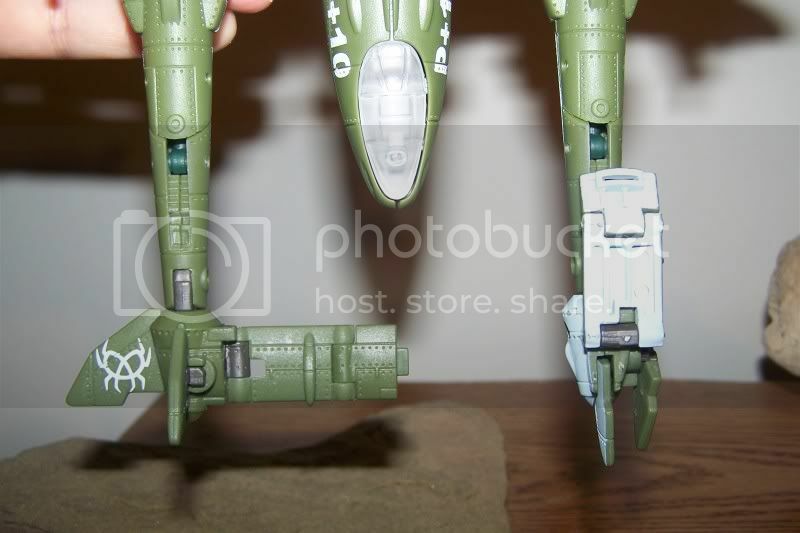 One thing that I find strange is what looks like a third gun hanging from the back (it's hidden under the cockpit in bomber mode). 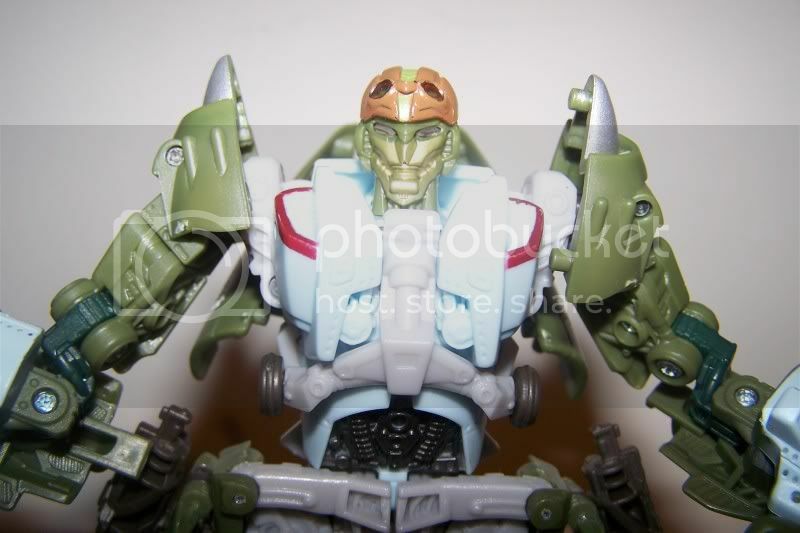 At first I thought it could be flipped up over the head (à la Energon Scorponok, for example), but it can't. At best it can be pointed up but still not perfectly straight up. 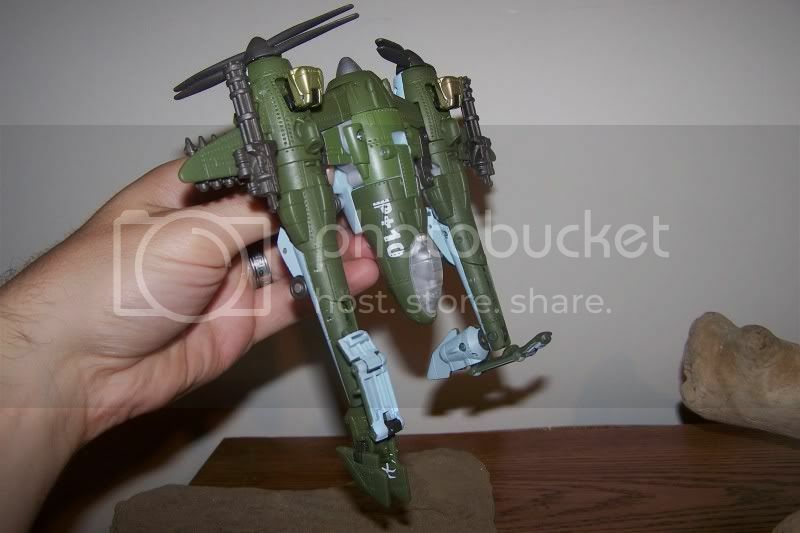 Is it a thruster so he can fly in robot mode? Instructions will tell later I guess. 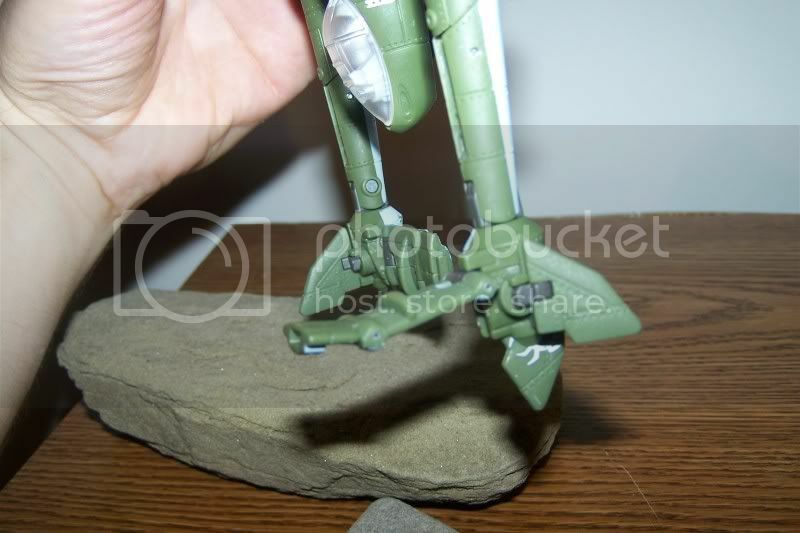 The range of articulation is pretty good, the only thing he's missing is a waist joint. Not much to complain about in this department. 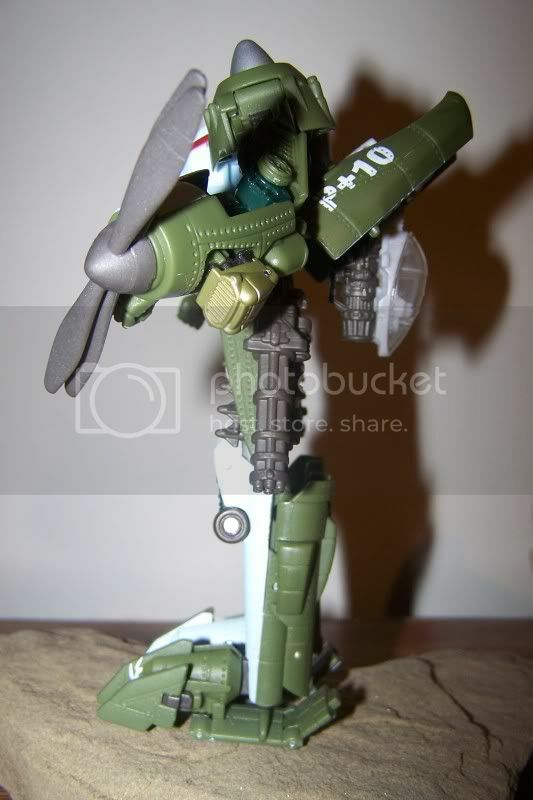 Deco-wise, he retains the green from the bomber mode with some light blue, dark green, grey and red (around the air intakes on the chest). 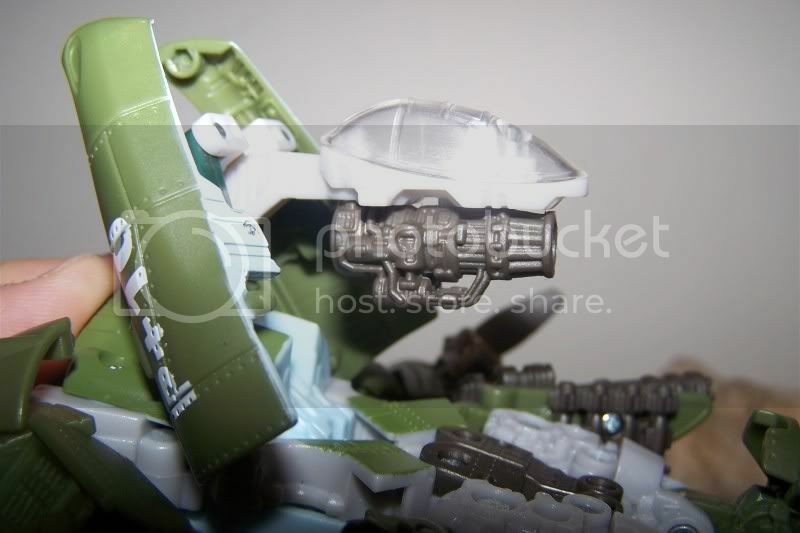 Face is painted gold-titanium, brown (helmet) and green (over the clear lightpiping). Fairly easy but clever at times, especially the feet that require a bunch of twists and folds. 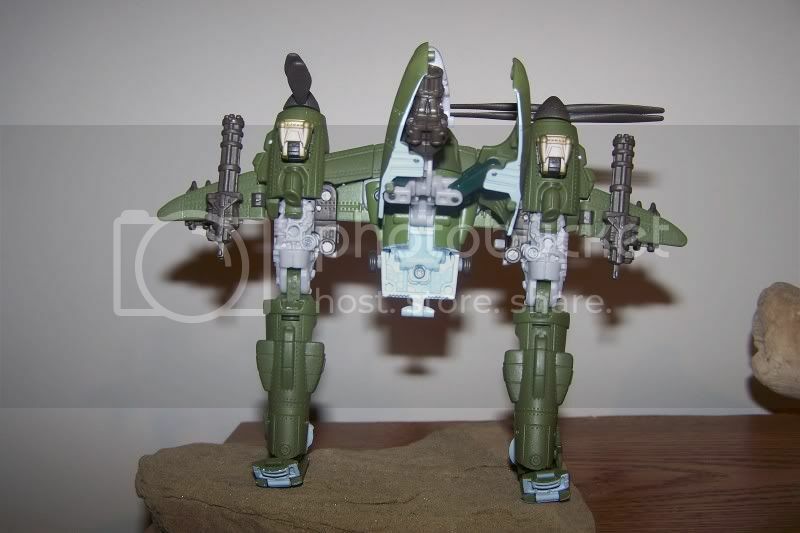 Here's more or less the sequence from robot to plane. 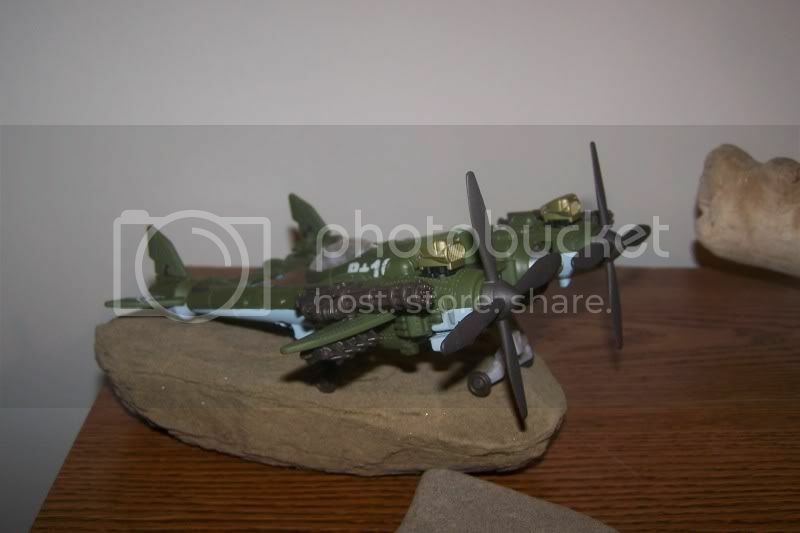 Some très cool WW2 bomber plane with deployable landing gears (rolls on 4 wheels), a clear cockpit and twin propellers that can be activated by pushing on the engine blocks (each propeller is independant). 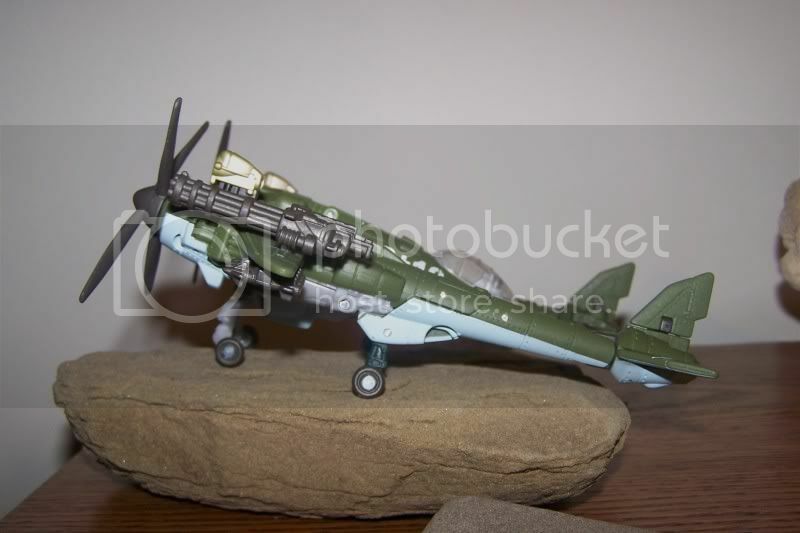 The toy has a good weight, plastic is of quality, minimal paint apps (some white tattoos on the rear fins, white "P+10" markings on the cockpit, titanium-ish engine blocks and silver nosecone - some red paint apps are also visible from the bottom front around the air intakes). 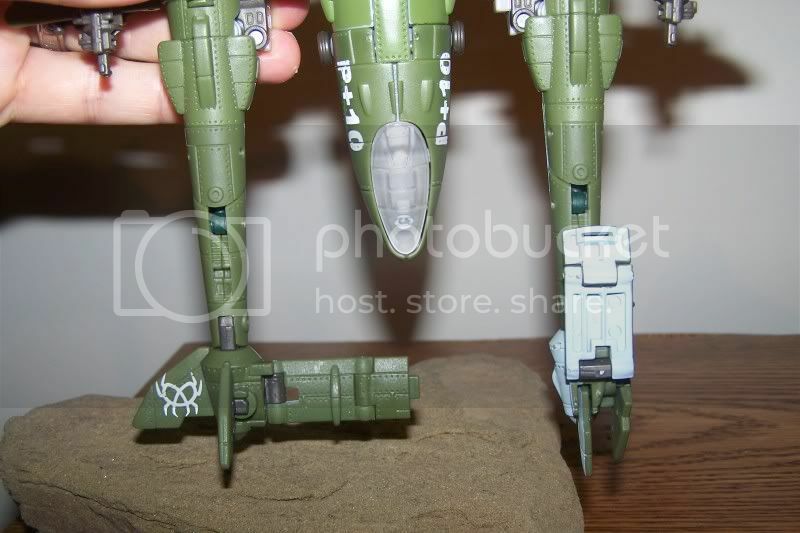 You also get 2 sets of 4 missiles (fixed) under the wings plus 2 gattling guns on top (can rotate and be removed). 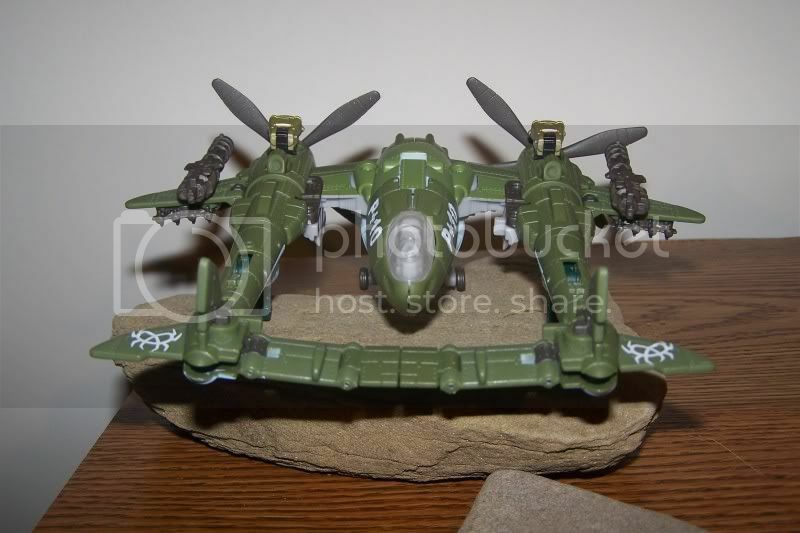 A very solid and exciting plane mode that hides pretty well the robot bits. I swear, that "pilot mask" screams "old school kamen rider" to me. I just can't get myself to like this toy. I think its the over sized props and goofy face/battle mask. Sadly, I agree. I want to like it, but something just seems off. It's an interesting design, but I don't think I like it as is. Maybe if the inevitable redeco is better, I'll go for that. I'm loving this guy. The plane mode is really where it's won me over more than anything. Love the figure and the option of the mask but the face underneath reminds me of SWTFs for some reason. Either way it's a must buy for me. Looks good, any size comparisons with currently released figures? The shots with him and Terradive we got made him seem kinda small I thought. 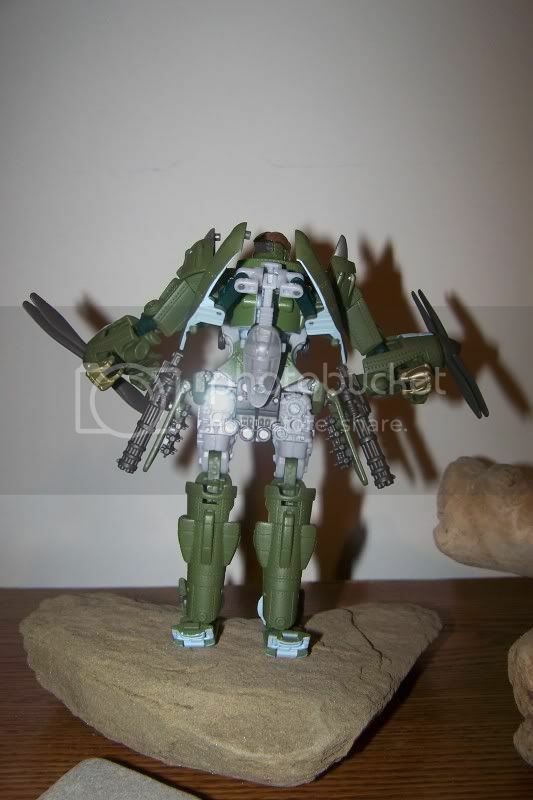 If/until there is one, I'm going to paint his face silver and consider him Movieverse Springer. Does Highbrow have a faction symbol at all? I have yet to determine his allegiance based on the pics we've seen so far. Yeah, I feel exactly the same. 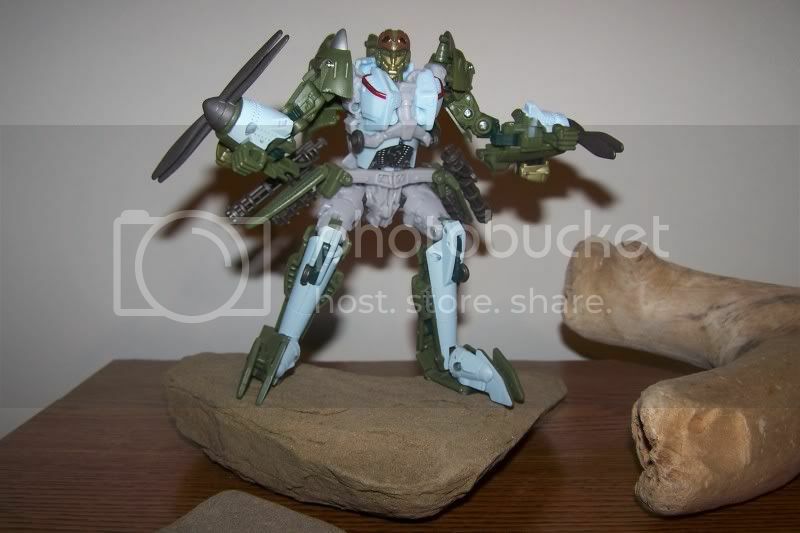 I'm thinking it's the size, or lack of there of, for a voyager figure like this. 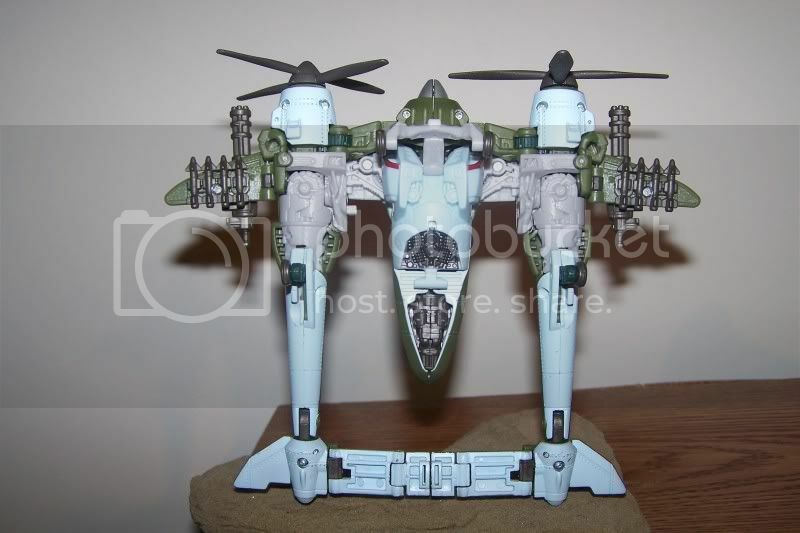 The comparisons we got with Blackout and Terradive made it seem a small voyager, and the vehicle mode alone doesn't sell it, let alone the skinnyness of the robot mode. Does Highbrow have a faction symbol at all? None! I was assuming he was an Autobot, but I could be wrong. This guy is a thing of beauty. Bring on a G2 Ransack redeco (w/ new head mold), please! I think this everytime I see it as well, which I like, but I think I'll probably skip him for the same reasons others are listing. The face under the mask, the lower arms and his small stature. Who knows though his design may grow on me and I may change my mind. 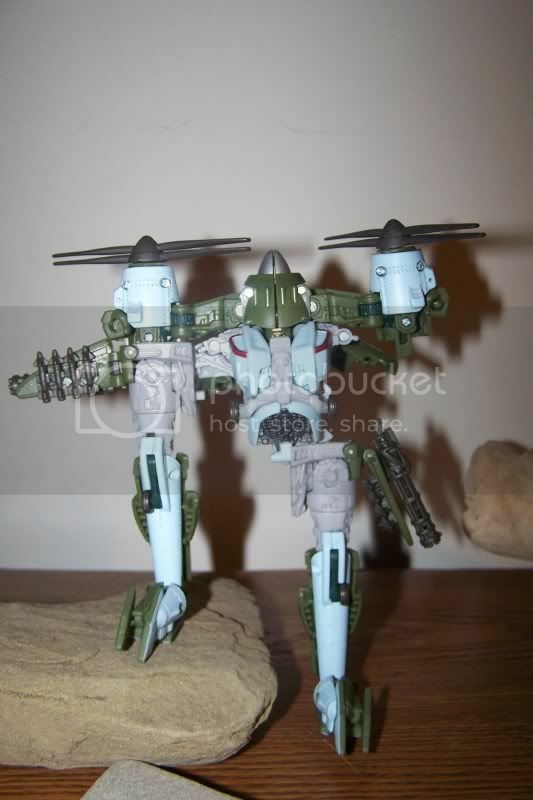 I'm actually glad the Gatling guns can be removed from plane mode. It helps the look. 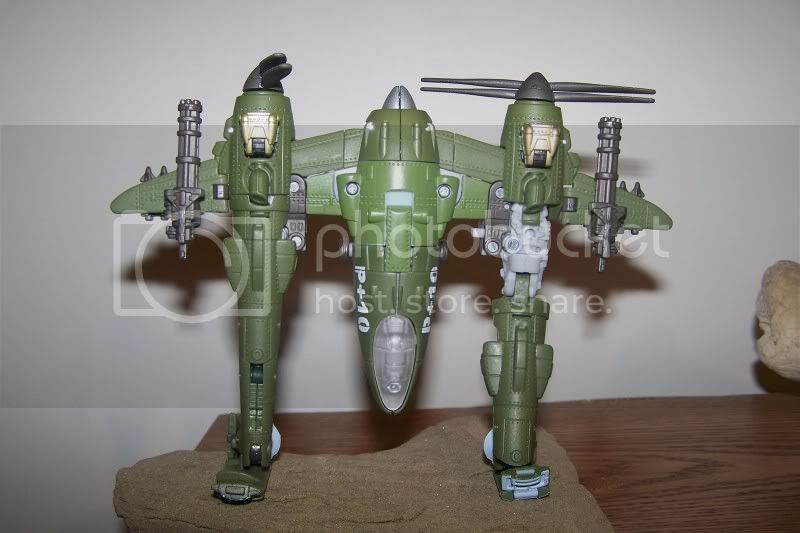 Espewcially since the rockets make it look heavily armed anyway. 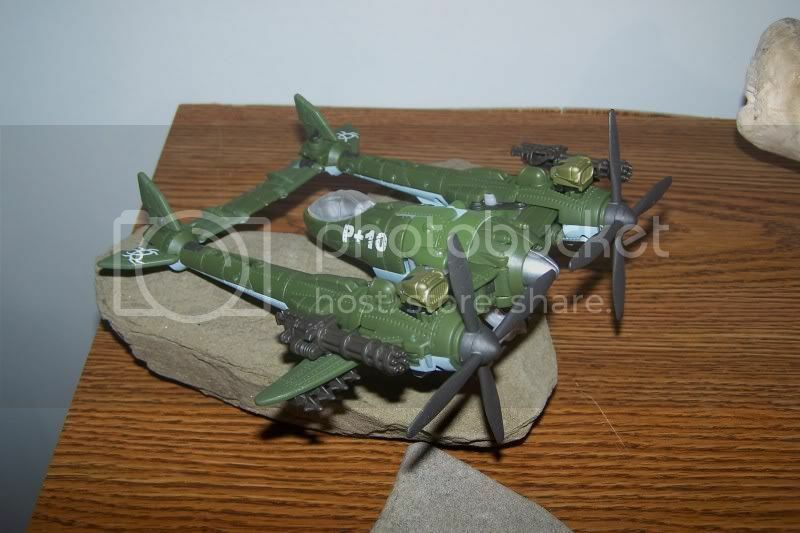 So yeah, it's an (inexact) P-38 Lightning Transformer. One for me and maybe one for my dad!